If one thing is clear, is that Neil Druckmann is one of the top video game writers around, having won awards for his work on games like Uncharted 4. Druckmann also wrote 2013’s zombie classic The Last of Us, a game that is getting a sequel next year, unsurprisingly titled The Last of Us Part II. And many The Last of Us fans were happy to see Druckmann reveal more details about the sequel at this year’s PlayStation Experience (PSX for short). Amongst other things, during a live panel about The Last of Us Part II Druckmann confirmed the game will be set in Seattle, and that developer Naughty Dog is about halfway done with the game. Surprisingly, the writer also said that those who loved the original game might not like the sequel, although it’s not so hard to see why. 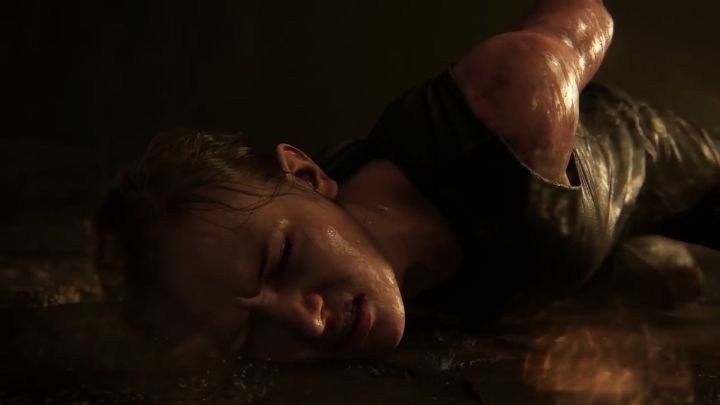 Those who have seen the game’s most recent trailer (which debuted during this year’s Paris Games Week event) know The Last of US Part II’s tone is very different from that of the original game, and that trailer is one of the most violent we have seen in a long while. This is because while the first Last of Us game was focused on the theme of love, this sequel will be about hate, and writer Neil Druckmann even hinted during the PSX panel that main characters Joel and Elie could die in this sequel, and that “there are real stakes” in the game. “With The Last of Us, no one is safe”, said Druckmann. It will not all be doom and gloom in The Last of Us Part II though, and Druckmann did admit some bits of the game will be more lighthearted. It was also great to hear Druckmann say during the panel that Naughty Dog remains committed to creating single player experiences with a focus on narrative, in a year in which some companies like Ubisoft have been talking up the “games as a service” model and others like Rockstar have foregone producing more single player content for GTA V due to the success of GTA Online. Plus, we’ve seen the backlash against Star Wars Battlefront 2’s multiplayer microtransactions too. Here’s hoping, then, that the Last of Us Part II turns out to be as good as fans are expecting it to be when it ships in 2018 (and clearly expectations are sky-high as proved by the game’s winning of the most anticipated game award at this year’s Game Awards). Of course, even a major AAA title like The Last of Us Part II can end up being a disappointment, although given we’ll see more of the game at E3 2018, it won’t be long before we find out whether this could turn out to be a worthy sequel to one of 2013’s best video games.